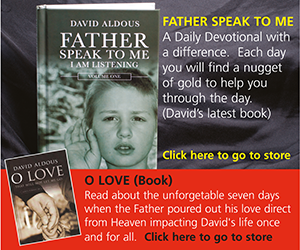 If you missed the Christmas Newsletter read on…..
Merry Christmas and a Happy 2015 from Worship Radio 247. It is with great joy we can now announce the imminent arrival of our TV service ‘Worship TV’. We can now announce that before the end of December 2014 we will begin test transmissions ‘live’. We are so grateful to God our Father for His wonderful provision to allow us to bring this to fruition. It has been many months as we prepared for this to happen and NOW THE TIME HAS COME. 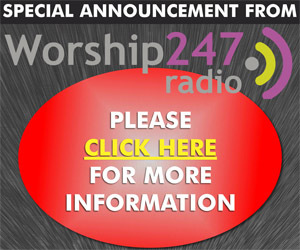 Please continue listening to our Radio Service Worship Radio 247 for more updates. How are you? I trust the season of good will to men finds you in wonderful health and spirits. Please believe me when I say this to you. We love and appreciate you very vey much with all our hearts. 2000 years ago on a cross in the middle eastern region of Jerusalem on the outskirts of the city, beyond the city walls, was a rough hone road called the Via Delarosa. There, a man who had done no wrong was forced to carry a cross made from rough timber. The weight was incalculable and tried as much as it could to force the man to stumble and fall. His cross was picked up by order of the guard and given to Simon of Cyrene to carry. The man condemned to death was Jesus of Nazareth. His crime? He declared that He was the Son of God. Beloved indeed He was and was tortured beaten and hung on that cross with nails driven into both his hands and His feet. Why? Simply this reason, it was the price that had to be paid for the sins of the world. Because of your sin and mine, so we could go to the Father and through the death of His precious son Jesus we could receive forgiveness for what we have done and had done. Is this not love? Of course it is. Unquestionably. Why do I believe this? I’m glad you asked me that question. Simply this. Jesus declared He was and is the Son of God. If He lied, don’t you think by this time His lie would have been found out? Why then are there billions of believers around the world? Ill tell you why. Because Jesus told the truth and He is indeed the Son of God. Be very blessed this Christmas time beloved.